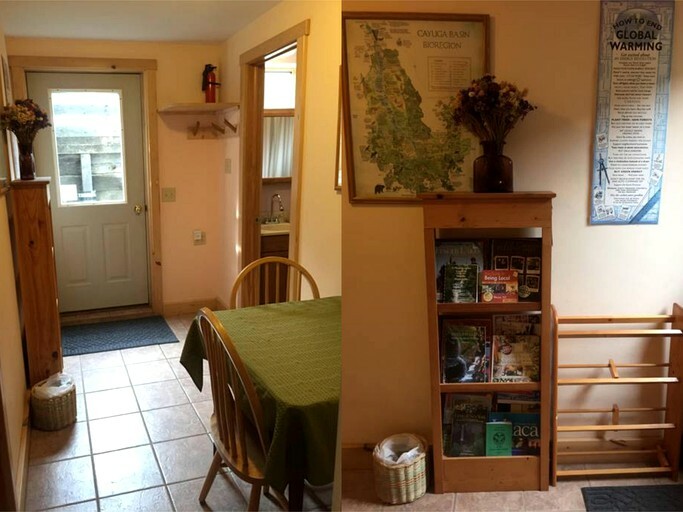 This charming bed and breakfast suite is located in Ithaca, New York, and can accommodate 4-6 guests for a unique family or group getaway to the Finger Lakes region of Upstate New York. 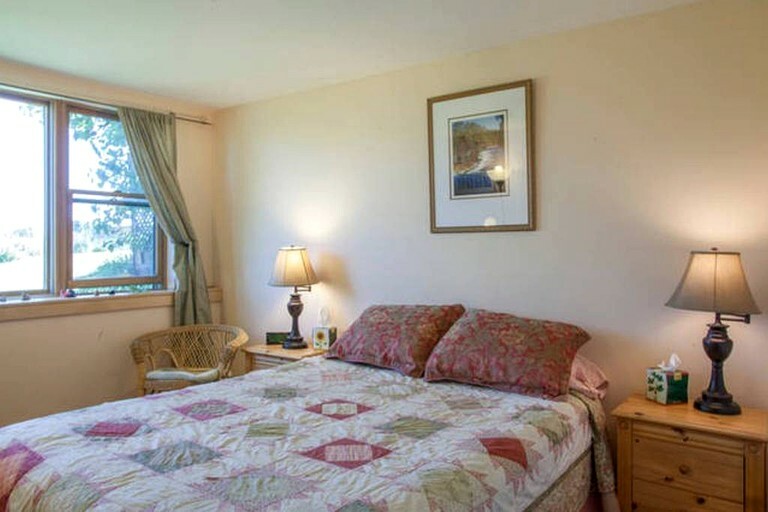 Here, you can feel a sense of harmony with the natural surroundings on 175 acres of land and experience a peaceful, cooperative, and environmentally conscious way of life, while at the same time enjoying the comforts and conveniences of modern living—including perks such as a healthy, locally sourced complimentary breakfast and a hot tub! In the living room/kitchen, guests will find a futon couch, a dining table, board games, books, magazines, a DVD player, and yoga mats. The kitchen portion is equipped with a refrigerator stocked with complimentary breakfast food, another refrigerator for guests' personal use during their stay, a stove, a microwave, a toaster, a coffeemaker, a tea maker, and utensils for cooking and eating. The breakfast items are either home-grown, locally sourced, or fair trade-certified, and nearly all of them are organic. 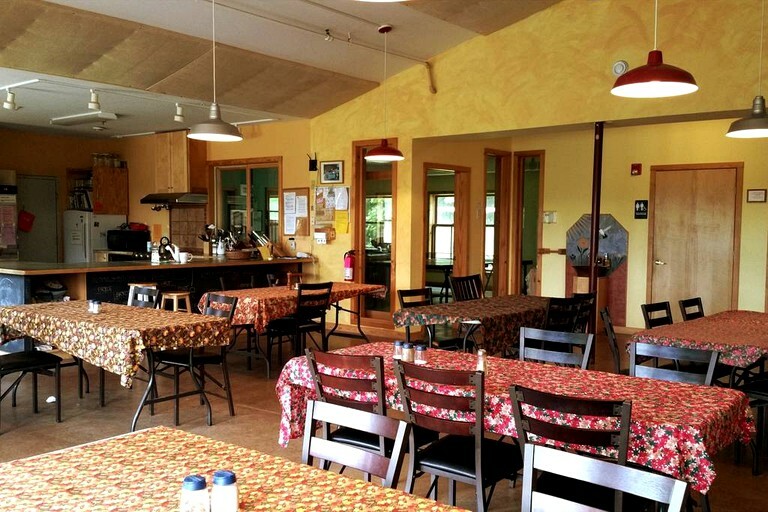 Other amenities include high-speed internet access and a resource library with maps, guides, magazines, and brochures providing information about Ithaca, the Finger Lakes, and EcoVillage at Ithaca, as well as information on how to live a healthy, sustainable lifestyle. Inside the bed and breakfast accommodation, guests will enjoy amenities such as high-speed internet access, homemade quilts, a desk/dresser, and a resource library with maps, guides, and brochures providing information about Ithaca, the Finger Lakes, and EcoVillage at Ithaca, as well as information on how to live a healthy, sustainable lifestyle. Guests will also enjoy shared access to a common space with a kitchenette, a living area, and a dining area. The kitchenette is equipped with a refrigerator stocked with complimentary breakfast food, another refrigerator for guests' personal use during their stay, a stove, a microwave, a toaster, a coffeemaker, a tea maker, and utensils for cooking and eating. The breakfast items are either home-grown, locally sourced, or fair trade-certified, and nearly all of them are organic. They include white and whole wheat bagels, cold cereals (including homemade granola), oatmeal, homemade yogurt, low-fat cream cheese, butter, healthy margarine, homemade jams, milk, juices, fruits, fresh-ground coffees, and a wide variety of teas. Home-baked breads and pastries may also be provided. In the living area, guests will find a futon, board games, books, magazines, a DVD player, and yoga maps. The futon can be converted into a bed to provide additional sleeping arrangement options. Outside, guests will find a backyard and a variety of communal amenities and facilities, such as picnic tables, playgrounds, a library, game rooms, multi-use trails, a swimmable pond, and a hot tub. 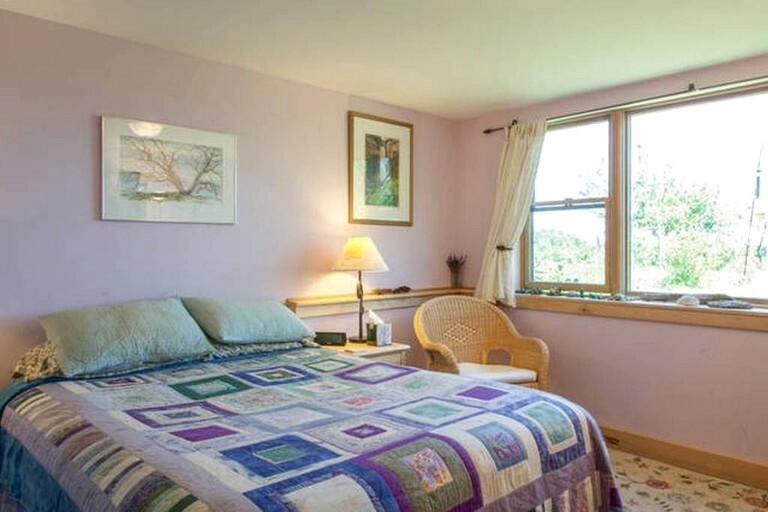 The bed and breakfast is environmentally friendly, featuring nine types of local wood in its construction, well-insulated walls, double-pane south-facing windows that provide maximal solar heating and lighting, and decor utilizing non-toxic stains and paints. Heating is provided by energy-efficient natural gas boilers that send hot water through the bed and breakfast's radiant heated floors. Electricity is mostly generated by solar panels, and energy use is regulated by programmable thermostats. The hosts practice recycling and composting, and they provide non-toxic soaps, shampoos, cleaning supplies, tissues, and toilet paper. 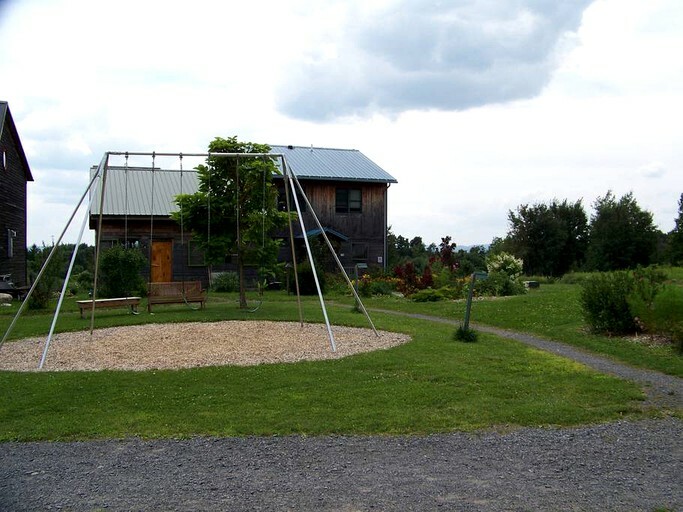 This bed and breakfast accommodation is located in Ithaca, New York, where it is situated within the cooperative ecological community of EcoVillage at Ithaca. 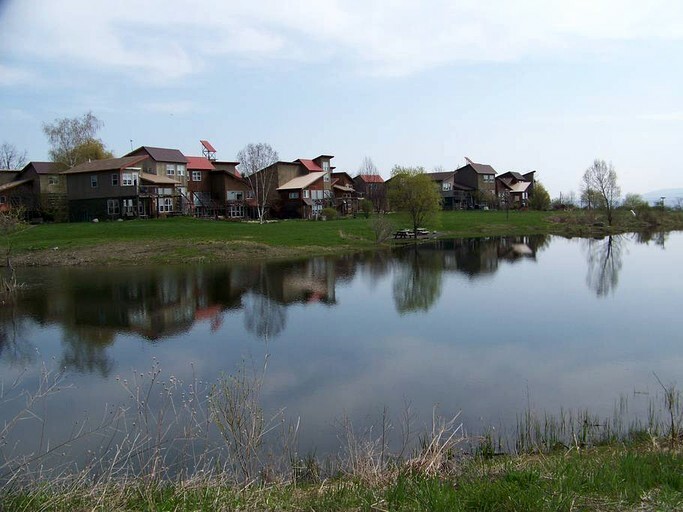 Exploring the 175 acres of land on which the community is set, guests will find a peaceful natural setting composed of meadows, woodlands, wetlands, organic farmlands, and a variety of personal and communal gardens, all of which are laced with miles of trails on which guests can go hiking, running, and cross-country skiing. 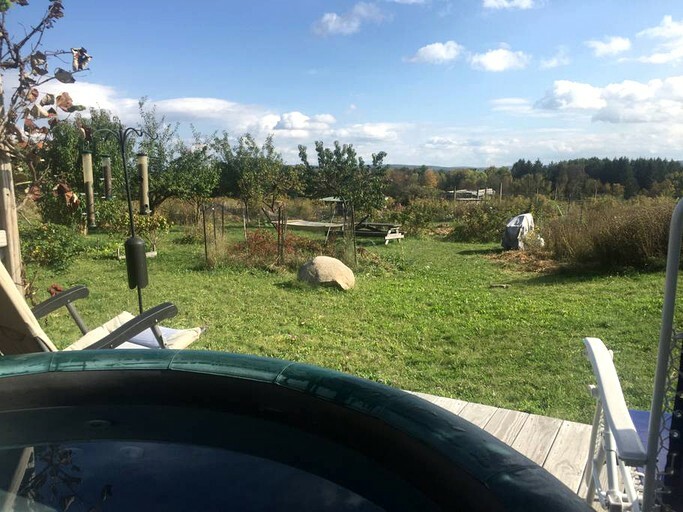 Just a two-minute walk from the bed and breakfast, guests will also find a pond in which they can swim in the summer and skate in the winter. 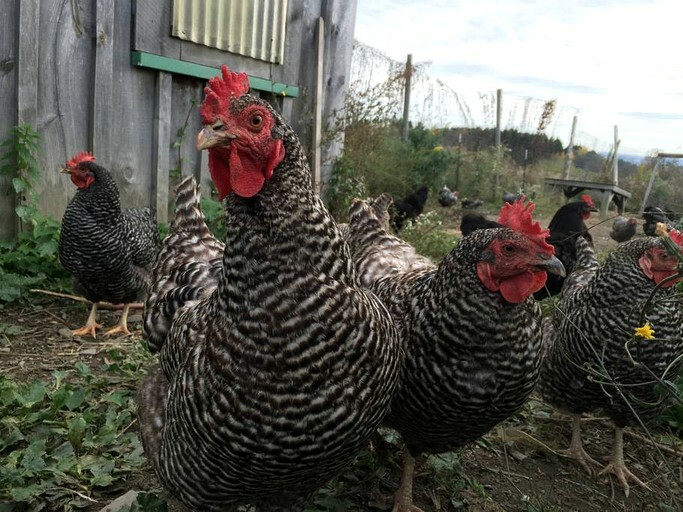 While the tranquil setting of the community feels far removed from the hustle and bustle of city life, it is just a three-mile, 10-minute drive from downtown Ithaca, which is home to a variety of unique shops and restaurants, including the world-famous Moosewood Restaurant. In and around downtown Ithaca, guests will also find a variety of natural attractions, recreational parks, cultural centers, and entertainment venues, such as the Ithaca Falls Natural Area, the southern shores of Cayuga Lake, Stewart Park, Cass Park, the Museum of the Earth, the Sciencenter children's museum, the Carl Sagan Planetwalk, and the State Theater, along with a variety of points of interest located around the sprawling, picturesque campus Cornell University, such as the Cornell Botanic Gardens, Triphammer Falls, Cascadilla Gorge Trail, and the Herbert F. Johnson Museum of Art. For more enjoyment of the great outdoors, guests will be within a short driving distance of a number of other natural areas. The bed and breakfast is just 11 minutes from Robert H. Treman State Park, 16 minutes from Taughannock Falls State Park, 17 minutes from Buttermilk Falls State Park, 18 minutes from the Sapsucker Woods Sanctuary (home to the Cornell Lab of Ornithology), 26 minutes from Finger Lakes National Forest, and 32 minutes from Watkins Glen State Park. 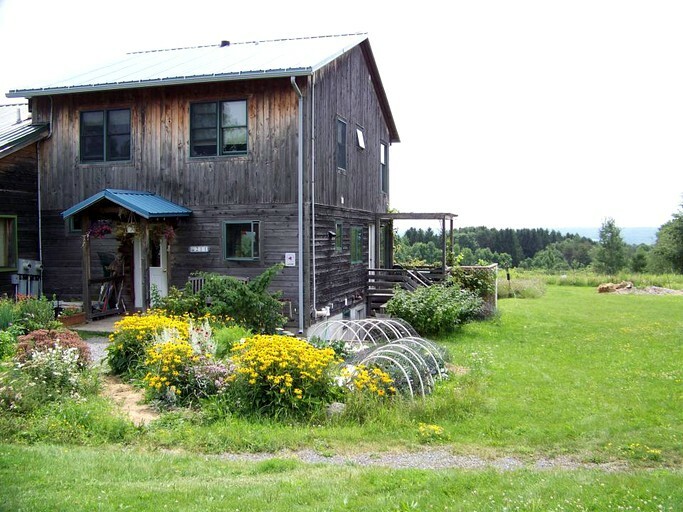 On the 240 acres of land on which the bed and breakfast and EcoVillage at Ithaca are set, guests can go hiking, running, and cross-country skiing on miles of trails. 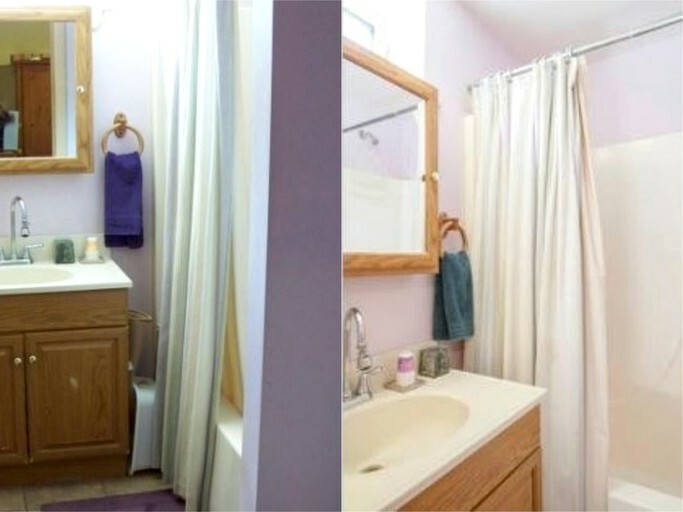 They can also take advantage of the bed and breakfast's board games, DVD player, and yoga mats, as well as the community's swimmable pond, hot tub, picnic tables, playgrounds, library, and game rooms. 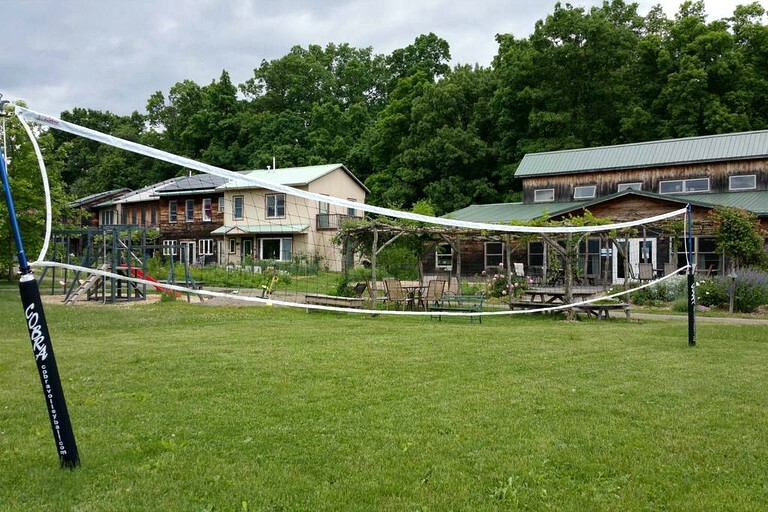 Guests can also go on tours of EcoVillage at Ithaca, attend community meals and events, and participate in community life by helping with cooking, harvesting, and meal cleanup. For more hiking and cross-country skiing, guests will find a variety of trails at Finger Lakes National Forest, Robert H. Treman State Park, the Sapsucker Woods Sanctuary, the Ithaca Falls Natural Area, Buttermilk Falls State Park, Taughannock Falls State Park, and Watkins Glen State Park. The last four of these parks also provide opportunities to see the incredible waterfalls for which Ithaca and neighboring Watkins Glens are famous. At Taughannock Falls State Park, guests can also go swimming at a lifeguarded beach and go kayaking, canoeing, and stand-up paddleboarding on Cayuga Lake. Watersport rentals are available right at the park. Another option for swimming is the public outdoor pool at Cass Park, where guests can also go skating at an ice rink, play tennis on four courts, and work out on an exercise trail. Wine lovers could hardly pick a better getaway spot in the Eastern United States; the surrounding Finger Lakes region is renowned for its many vineyards and wineries, such as the nearby Ports of New York Winery, Frontenac Point Vineyard, and Americana Vineyards Winery. Heading northward, guests will find dozens of other wineries along the shores of Cayuga Lake and neighboring Seneca Lake. 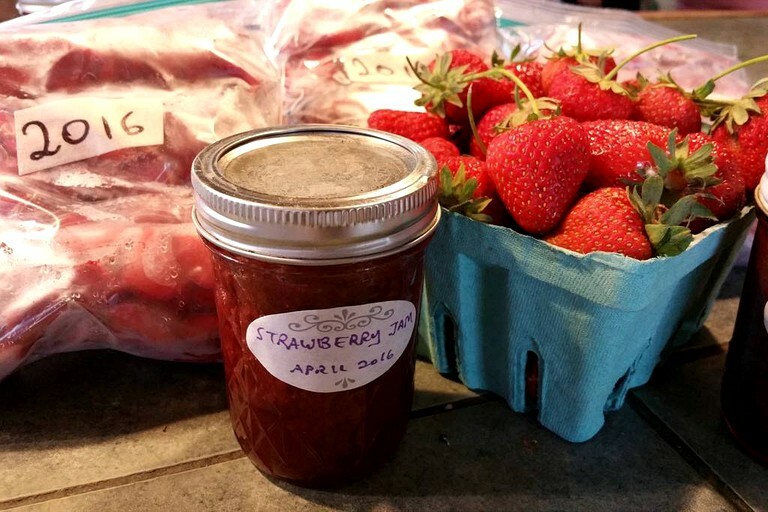 For dining and shopping, guests will find a variety of fine-dining restaurants, farm and craft markets, antique stores, and one-of-a-kind boutiques in and around Ithaca and the neighboring towns of Hector, Watkins Glen, and Trumansburg. For cultural enrichment, educational experiences, and entertainment, guests will find a number of museums, art galleries, and concert venues right in Ithaca, such as the Museum of the Earth, the Sciencenter children's museum, Herbert F. Johnson Museum of Art, the Carl Sagan Planetwalk, and the State Theater. 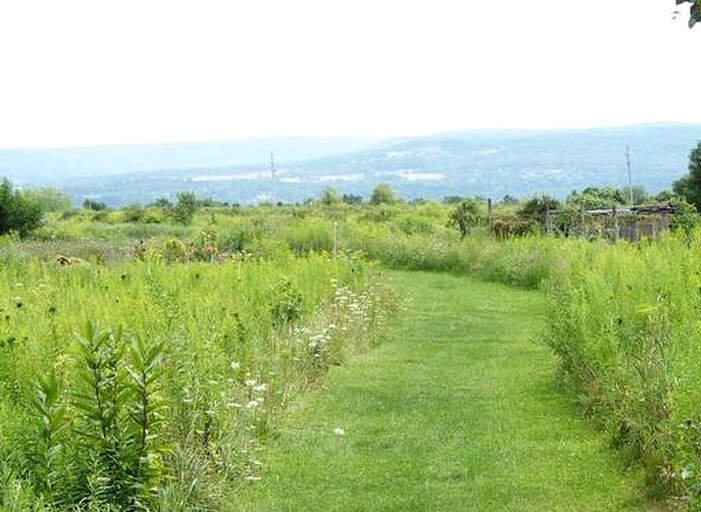 Guests can also attend concerts, open-to-the-public lectures, and other special events at Ithaca College and Cornell University, the latter of which also hosts the Cornell Botanic Gardens. Here, guests can take a peaceful stroll through the 100-acre F.R. 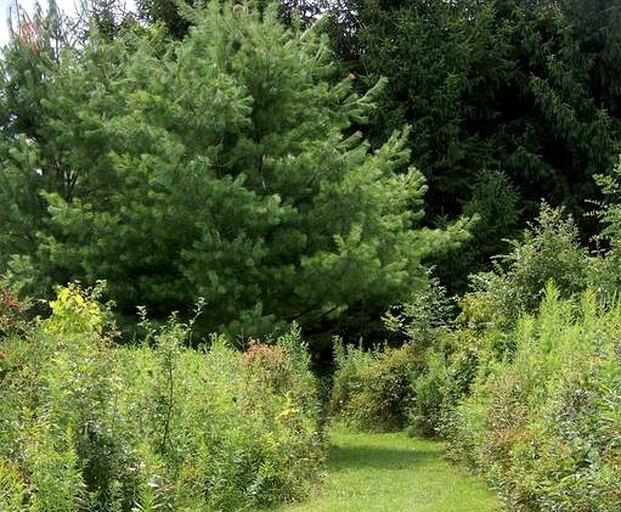 Newman Arboretum, where they will find a wide variety of labeled tree and shrub species, as well as breathtaking views of the rolling hills and valleys that define the arboretum's bucolic landscape. Indoor smoking and pets are not permitted.